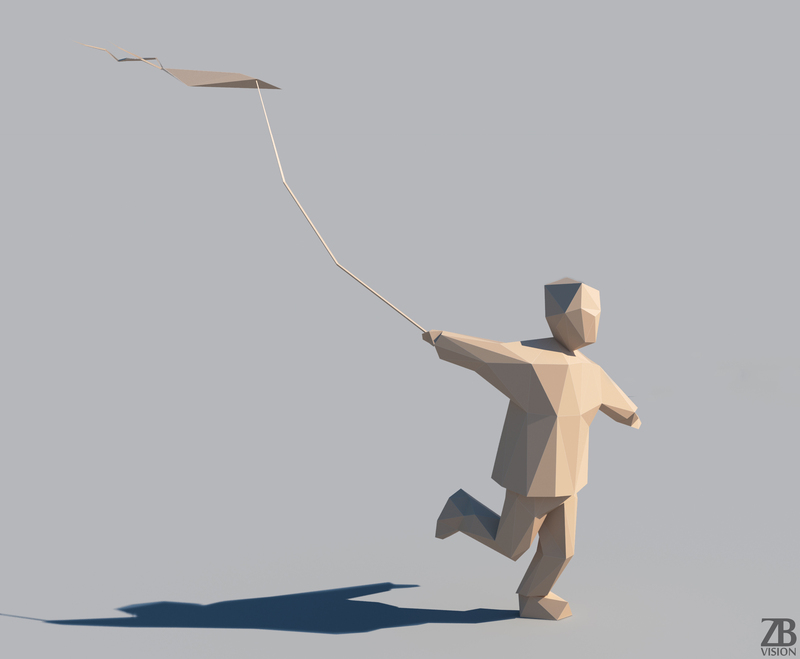 This is a lowpoly 3d model of a child running with a kite. 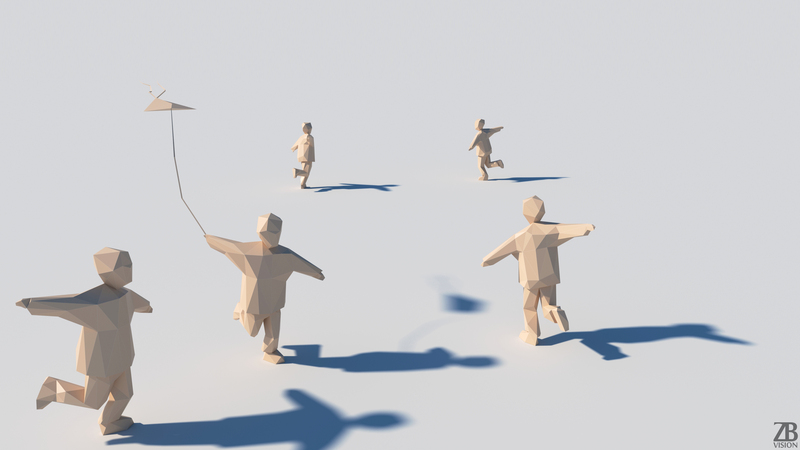 The lowpoly kid was modelled and prepared for low-poly style renderings, background crowd, general CG visualization. The 3d kid is ready to be inserted in your scene out of the box. The 3d baby model is presented as single mesh. Pivot is set for ease of use at the lowest point of object. Meshes are mainly tris based. 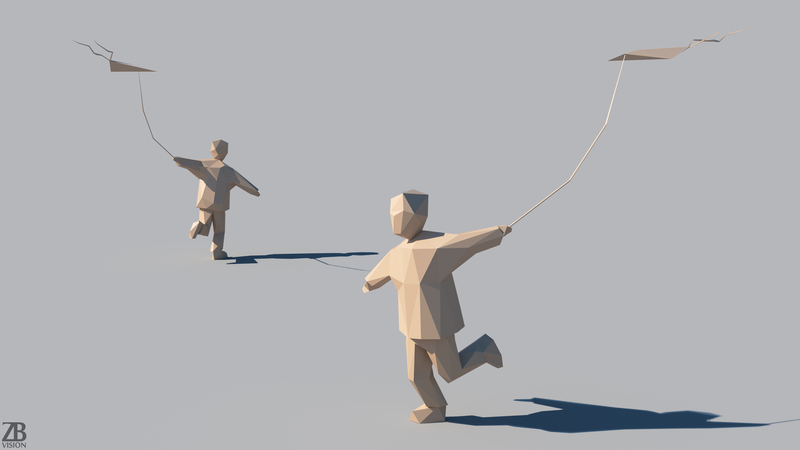 The polycount is 392 for the kid with kite and 300 kid only. 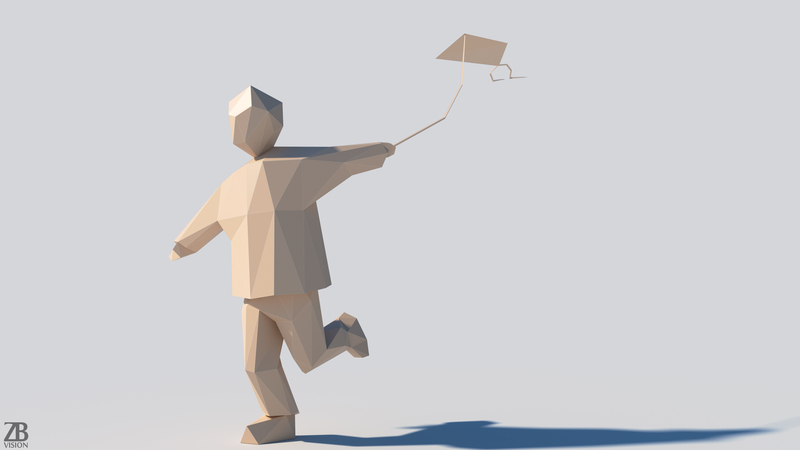 The kite is not welded with the kid’s geometry and can be detached or deleted to obtain a generic running kid.